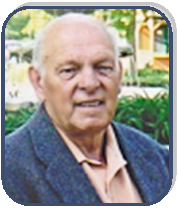 James Robert Lucas, age 74, of St. Francis, MN passed away peacefully on Friday, October 14, 2016 at his home surrounded by family. Preceded in death by parents Eli and Pauline Lucas; brothers, Willie, Buck, John and Romaine; daughter-in-law Joy Lucas and beloved dog Bear. Jim is survived by wife, Michelle; daughters, Cindy (Patrick) Decker, Terry (Mike) Petersen, son Robert Lucas; 11 grandchildren and 4 great grandchildren along with brothers, sisters, family and friends. Funeral Service on Thursday, October 20, 2016 at 11:00 a.m.
Visitation starting at 9:00 a.m. Luncheon to follow in St. Patrick Social Hall.